Mayapple Press is happy to announce that What Snakes Want by Kita Shantiris is in contention for two different book awards. 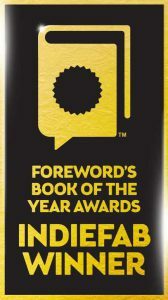 Foreword Reviews has named What Snakes Want as a 2015 INDIEFAB Book of the Year Award Finalist in the Poetry (Adult Non-Fiction) category. The Foreword Reviews Award winners will be announced at an event at the ALA Annual Conference in Orlando, in June. 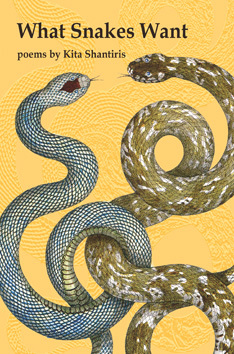 What Snakes Want is also short-listed for the Eric Hoffer Award. The Eric Hoffer Award honors the memory of the great American philosopher Eric Hoffer. In addition to the grand prize, Hoffer honors are bestowed by press type and category, and also through the Montaigne Medal, da Vinci Eye, and First Horizon Award. The 2016 results will be announced within the month. Good luck to Kita! What Snakes Want is a special book, and Mayapple Press is proud to have been involved in bringing it to discriminating readers (and award judges).